5 MP rear camera w/ flash and 480P rec. As well as pretty much all the other features you'd expect from a flagship Android device. As many of you have probably already noted, the Nexus S does not have the much-desired dual-core processor that was so highly anticipated, but the specs seem quite solid nonetheless. The Nexus S will be available, both off contract and with a two-year T-Mobile service agreement, in Best Buy/Best Buy Mobile stores or online in the USA on the 16th of December. Additionally, Carphone Warehouse and Best Buy stores in the UK will be selling the device on the 20th of the same month. In the USA, the phone will retail for $529 off contract or $199 on a new two-year agreement, much like the Nexus One. Across the pond, Carphone Warehouse is already listing the Nexus S and its tariff on the Vodafone UK network, with the device coming free on a £35 two-year contract. Not a bad price, you have to admit. 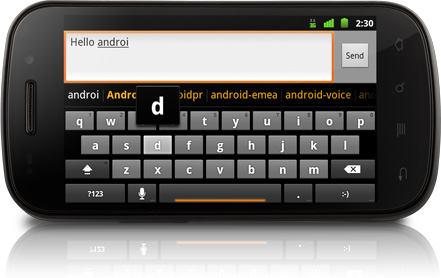 Check out the new Nexus S home page at the source link for more info. Update: The Nexus S page at Best Buy is now live. The Carphone Warehouse and Best Buy are today announcing that the Nexus S Smartphone from Google will arrive in the UK in time for Christmas at a great new price. From 22nd December 2010, the only Smartphone running Android 2.3 (Gingerbread) will be available to buy from The Carphone Warehouse and Best Buy. Due to strong customer interest, limited stock will be available to buy direct at key Carphone Warehouse and Best Buy stores in the UK. All other branches of The Carphone Warehouse will be taking orders via instant ship delivery which will allow customers to pick up the phone from any store at their convenience. Customers can also order online at www.carphonewarehouse.com and www.bestbuy.co.uk. 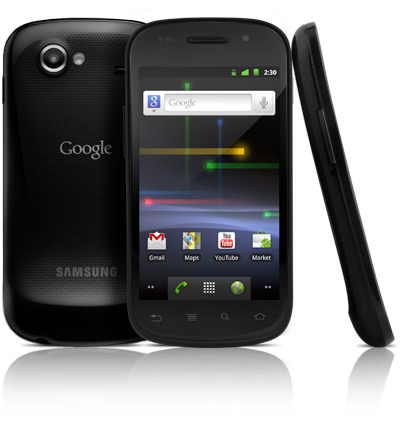 For those looking to upgrade, the Nexus S from Google will be available via direct sales on 0800 925 925. Nexus S will be available from free with a £30/month contract, or on PAYG for £429.99 plus £10 minimum top up with O2, Orange, Vodafone and T-Mobile. In addition, the Nexus S Smartphone from Google will be available SIM free for £429.99.